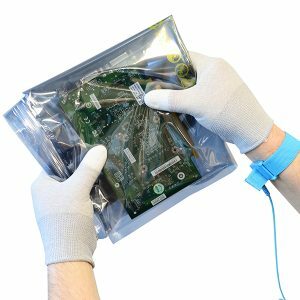 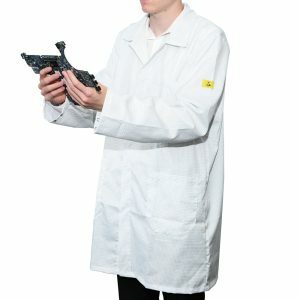 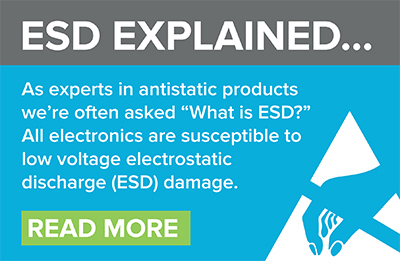 These ESD nylon gloves with PU coating on the fingertip sections are ideal for handling electronic parts when needing extra grip or protection against sharp edges. 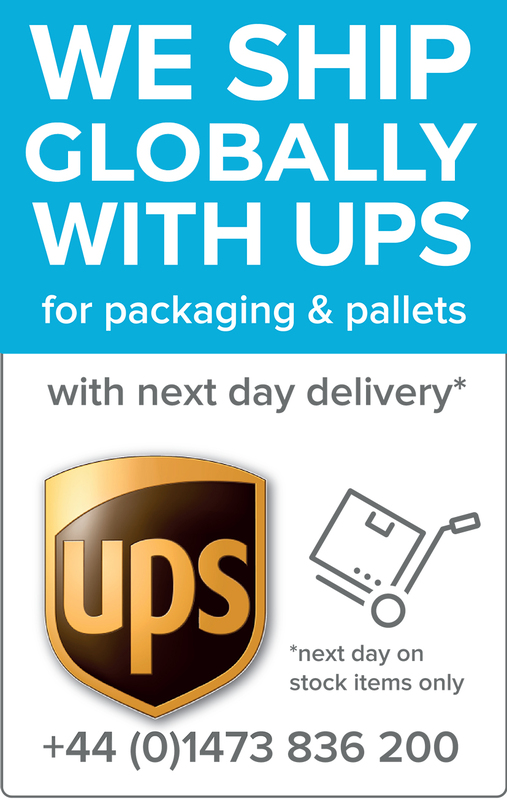 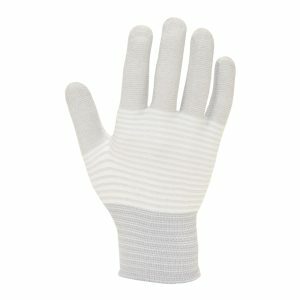 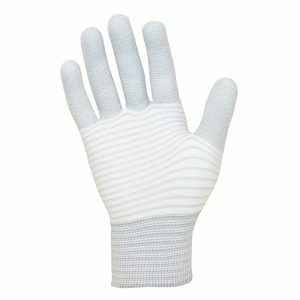 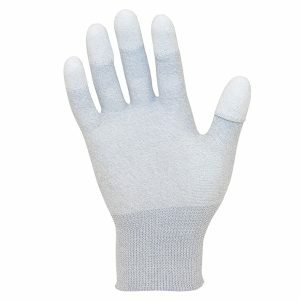 Made from 100% pure nylon (280 denier with 13 guage) and a white polyurethane fingertip coating. 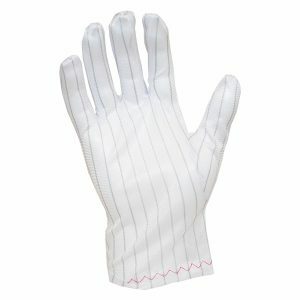 Our ESD Striped Glove is manufactured from 100% polyester with conductive carbon fiber every 10mm. 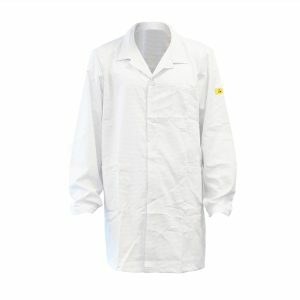 These low cost, light-weight, static dissipative gloves are suitable for use in an EPA and allow good dexterity. 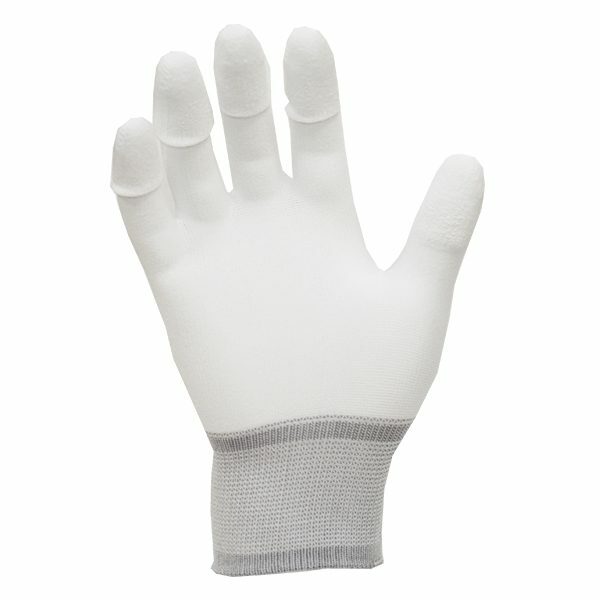 They also have good sweat absorbency and some heat resistance, helping to maintain user comfort. 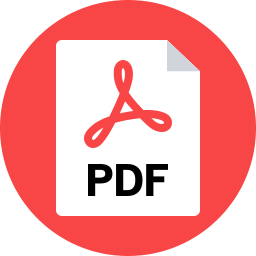 Available in four sizes as standard.